Bar-Yechoua was 4 years old when the Vichy regime set up headquarters in Algeria. Like other Jewish children in the country, he and his eight siblings were told they could no longer attend school. His father, who was chief rabbi of Batna (Algeria’s fifth largest city), lost his job and the family was suddenly without any source of income. “We were totally isolated and the only food we had was bread,” recalls Bar-Yechoua, who lives in Be’er Sheva. The retired Israeli diplomat is among thousands of Algerian Jews now eligible for compensation for the hardships they suffered during World War II. Earlier this month, the Conference on Jewish Material Claims Against Germany (also known as the Claims Conference) announced that Jews who suffered persecution in Algeria between July 1940 and November 1942 – when the Vichy government was in power – will be eligible for a one-time payment of €2,556.46 (about $3,140). The Claims Conference estimates that about 25,000 Algerian-Jewish Holocaust survivors are still alive worldwide, with 3,900 of them living in Israel. An estimated 110,000 Jews lived in Algeria during the war. “Even at this late stage, it’s very important both for the individuals, because it acknowledges what they went through, and in general, because it creates a historical record which will stand the test of time,” Greg Schneider, who serves as executive vice president of the Claims Conference, told German broadcaster Deutsche Welle about the belated recognition. 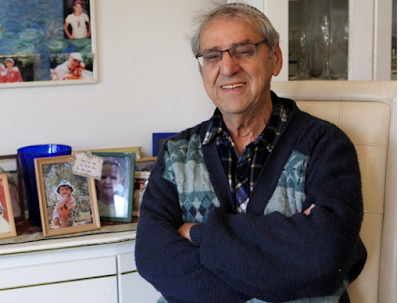 Bar-Yechoua, who immigrated to Israel in 1961 and has since held various diplomatic posts in Africa, is grateful that the hardships suffered by the Algerian-Jewish community during World War II are finally being acknowledged. “We felt extremely persecuted,” he tells Haaretz. Meir Zenoude, a retired textile engineer from Netanya, is another Israeli eligible for reparations. He was 5 years old and one of four children in his family when Algeria was taken over by pro-Nazi forces. By then, his father and several relatives had returned to the country after joining French forces in their failed attempt to push back the Nazis. Two older cousins, Zenoude recounts, were captured by Nazi forces in France and ended up in Buchenwald concentration camp. “After the great failure of the French army, we all understood that what was happening in France would spill over into Algeria and the rest of Europe,” he says. Zenoude recalls many members of the Jewish community being sent to forced labor camps in the country’s south Saharan region. “We were told this was to make sure the Jews didn’t join the underground resistance,” he says.